The Pound Swiss Franc (GBP/CHF) exchange rate rose slightly, and the pairing is currently trading at an inter-bank rate of 1.3134Fr. This morning, data revealed that the US Services PMI slipped below the critical 50 level for the first time since July 2016. March’s PMI slumped to 48.9 with the downturn reflecting a lack of new work to replace completed projects so far in 2019, as corporate clients opted to delay spending due to Brexit concerns. ‘The underlying picture of demand is even worse than the headline numbers suggest. Service sector order books have contracted at the steepest rate since the height of the global financial crisis in 2009 so far this year, with companies reporting that Brexit uncertainty has dampened demand and led to cancelled or deferred spending, exacerbating a headwind from slower global economic growth. The Pound (GBP) rose against the Swiss Franc (CHF) this morning likely due to Brexit optimism. The Prime Minister announced she would ask the European Union for a short Brexit extension in order to avoid the UK taking part in European Elections. This increased the likelihood of a softer Brexit, buoying Sterling. Theresa May also said that she wanted to meet Labour leader Jeremy Corbyn in order to break the deadlock in Parliament. However, she has insisted that her withdrawal agreement that was voted down for a third time last week, would remain part of the deal. Data on Tuesday showed that Switzerland’s annual Consumer Price Index (CPI) rose by a better-than-forecast 0.7% in March. Month-on-month the CPI rose by 0.5%, the largest monthly rise since February 2017. This rise was driven by rising prices for international package holidays and air transport, with prices of fruit and vegetables easing. Pound Swiss Franc Outlook: Will the GBP/CHF Exchange Rate Rise on Successful Cross-Party Brexit Talks? As there is a lack of further UK economic data releases for the remainder of this week’s session, it is likely that Brexit will remain one of the main catalysts for the Pound (GBP). If Theresa May makes progress during cross-party Brexit discussions with Jeremy Corbyn, Sterling could receive an upswing of support. 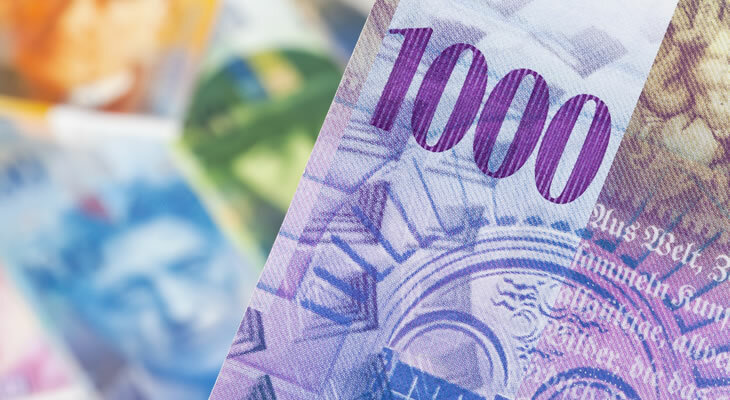 Looking ahead to Friday the Swiss Franc (CHF) could rise against the Pound following the release of February’s Switzerland Foreign Currency Reserves. If data reveals that the Swiss National Bank (SNB) is actively defending the Swiss Franc’s exchange rate against the Euro, the Pound Swiss Franc (GBP/CHF) exchange rate could slide. Previous ArticlePound US Dollar (GBP/USD) Exchange Rate Forecast: UK Economy to Stagnate Following Shock Contraction in Services PMI?